Auburn is facing a gentrification crisis. This is not something that the city can deny. Many long-term, poor, black residents are being forced out of their established neighborhoods as developers search for and buy new lots to erect student housing on, in the form of so-called Academic Detached Dwelling Units. The Auburn City Council was given an opportunity to prevent this encroachment of student houses into historically single-family neighborhoods but instead chose to table a vote on an ordinance pertaining to ADDUs, thereby prolonging gentrification. Lots and houses are being sold to developers right now, who — as long as this ordinance stays on the table, not voted on — are breaking ground on the sites of future ADDUs. The ADDU ordinance would provide regulations for freestanding structures intended for use by students. Some Council members expressed concerns over the potential vagueness of what constitutes a student house. Some fundamental attributes, according to the Planning Commission, that makes a house one intended for student habitation include the following: all bedrooms are of the same size, and each includes a bathroom; kitchens are engineered to be as small and efficient as possible; and common living areas are disproportionately small. So, there are, indeed, concrete specifics that determine if a structure is for students and not for low-income families who are right next door. To add another obvious reason that makes these structures student housing, let’s look at the price. These structures are rented by the bedroom, and there are usually four to five bedrooms in each ADDU. Each room costs around $800 to $900. That’s the equivalent of a $3,200 to $3,600 monthly payment. Those structures are usually around 2,000 square feet. For comparison, there is a 6,900-square-foot six-bedroom, seven-bathroom single-family house listed on zillow.com on Windy Hill Road that rents for $3,000 and is restricted to no more than two unrelated occupants. It’s absurd to believe a structure of this cost was built for the benefit of low-income people who occupy these neighborhoods. Instead, it obviously seems that these were built for developers to receive the quick benefits found inside the wallets of students and their families. The Planning Commission unanimously recommended this zoning ordinance to be passed by the City Council. But the Council’s decision was stalled by the developers in attendance who made some outright false and misleading statements. Developers led the Council to believe the ordinance will only benefit a small area in Northwest Auburn. But, the Planning Commission has already identified 40 new ADDUs across all of Auburn that will be built in the near future. All 40 of these could lead to further gentrification. Perhaps most damaging were remarks made by developers who misled the Council into thinking that this ordinance would hurt the rest of the city, and the city’s growth as a whole. This is blatantly false. Developers will still be permitted to build these student dwellings in areas that won’t affect residential neighborhoods adversely. It makes sense for a developer to be upset at an ordinance that basically nullifies their ability to build more of these profitable student houses in portions of the city. But there are areas in town where these structures are not compatible with existing neighborhoods. Developers can instead look to other locations that are perfectly suitable for these structures. What this ordinance does is set the guidelines of what an ADDU is, establish where it can definitively be built and protect neighborhoods from gentrification. Councilman Tommy Dawson has repeatedly stated that if a person “wants to sell their property, by all means, they have the right to do so.” But this ordinance is not about people having or not having the right to sell their homes. Anyone can sell their homes to whomever they want, and this ordinance doesn’t change that. What the ordinance does is make sure buyers of the property don’t build student housing in an area already marked for single-family residents, something that the already existing unrelated occupancy rule cannot do on its own. There is an illusion among the Council that passing the ordinance is a matter that can be postponed, tabled for another meeting. Perhaps for developers, the vote can be postponed. Perhaps for those who live in neighborhoods already protected by zoning laws and occupancy limits, the vote can be postponed. Perhaps for those whose income secures them a plot of land safe from gentrification — perhaps for them, this vote can be postponed. But for those already under threat, for those who see the “for sale” sign next door and fear fundamental changes to their neighborhood, the vote cannot wait. Dawson has stated that if nothing is amended to the ordinance, he’s not going to approve it. But Dawson is only one vote. Let’s be clear. This ordinance is far from perfect, but it’s an important step forward. Student-housing developers might find ways to build homes that eschew the ordinance. But the destruction of neighborhoods, such as those on Canton Avenue and Frazier Street, will continue if time is wasted on an already fine-tuned and detailed proposal. It is obvious which sector of the community has been hit hardest by this ineffective governing. Black residents in Auburn cannot stand the continual negation of their concerns. If the Council wants to correct course on a long, historical trajectory of negligent governance in Northwest Auburn, it begins with passing the ADDU ordinance. 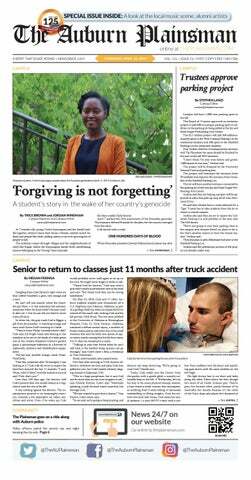 The opinions of The Auburn Plainsman staff are restricted to these pages. This editorial is the majority opinion of the Editorial Board and is the official opinion of the newspaper. The opinions expressed in columns and letters represent the views and opinions of their individual authors. These opinions do not necessarily reflect the Auburn University student body, faculty, administration or Board of Trustees. 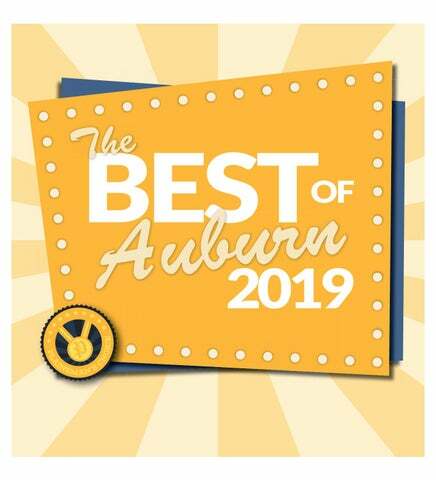 The Auburn Plainsman welcomes letters from students, as well as faculty, administrators, alumni and those not affiliated with the University.